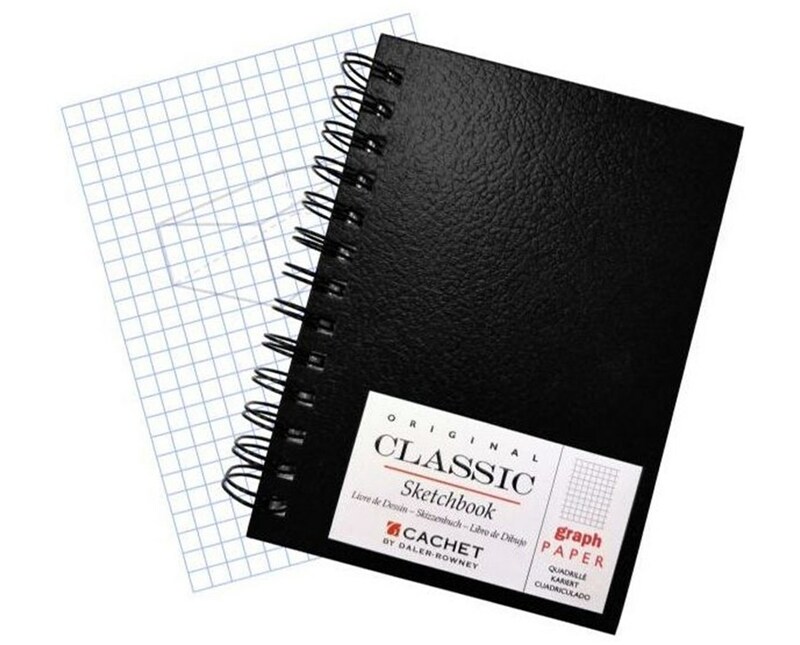 The Cachet Classic Graph Sketch Book is an ideal drawing paper for sketching, technical drawing, perspective drawing, and many other applications. It includes 80 gridded sheets that are wire bound together. Each sheet features 4”L x 4”W quadrille grid printed with non-reproducible blue ink. It has paper weight of 70 pounds. 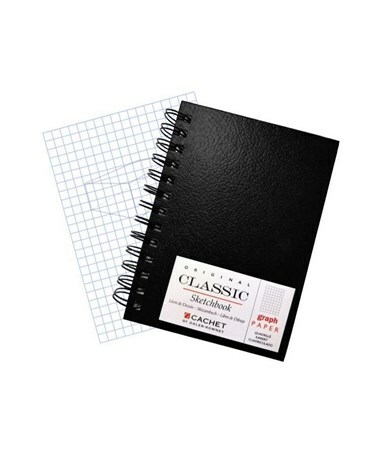 The Cachet Classic Graph Sketch Book comes with a black hard cover and acid-free pages to protect every drawing. It offers three different sizes to provide solution to most sketching and drafting needs. Available sizes are 5”L x 7”W, 7”L x 10”W, and 9”L x 12”W. The Cachet Classic Graph Sketch Book comes in three different sizes. Please select your preference from the menu above.